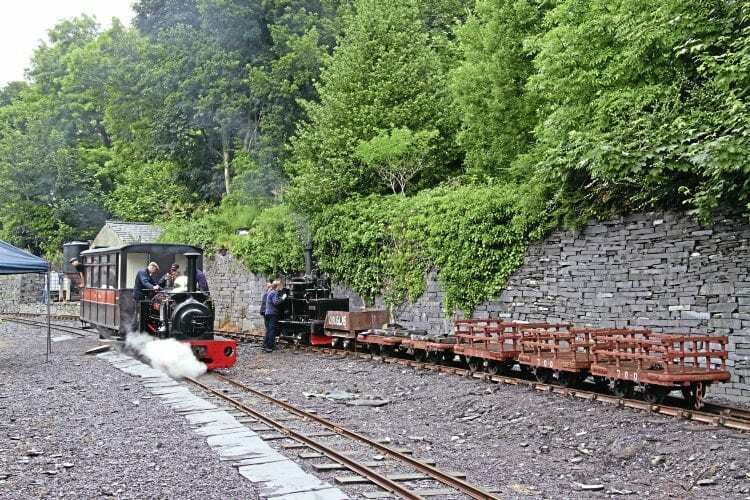 THE Penrhyn Quarry Railway (PQR) in North Wales has ceased operating. There has been no official statement despite various rumours, but stock started to be dispersed to other heritage locations during July. Then a statement on the railway’s Facebook page provided a little more information. It read: “It is true that the Penrhyn team are moving from Felin Fawr, the railway is not being evicted. “Over the past few weeks it has become clear that the railway could not continue at Felin Fawr due to circumstances beyond our control. The railway’s website was updated to say: “The Penrhyn Quarry Railway will no longer be running trains for the foreseeable future due to unforeseen circumstances. Comments posted in relation to the Facebook statement implied that while PQR Engineering Ltd had left the Felin Fawr site the railway would remain in situ. However, the planned visit by Bressingham’s newly overhauled Hunslet 0-4-0ST Gwynedd from the end of August and encompassing PQR’s September 16-17 gala was cancelled.